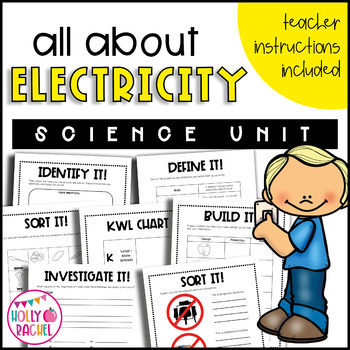 Your students will love this fantastic pack of science activities, ideal for supporting teaching of electricity! ★ Students predict whether the circuits will light the bulb. They build the circuits to test their predictions. ★ Students investigate what happens to a bulb in a circuit as more batteries are added. ★ Students design their own switch to turn a bulb on and off in a series circuit. 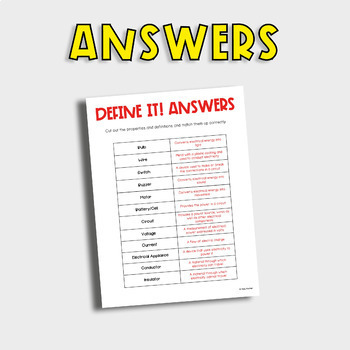 ★ Students match the topic vocabulary to its definitions. 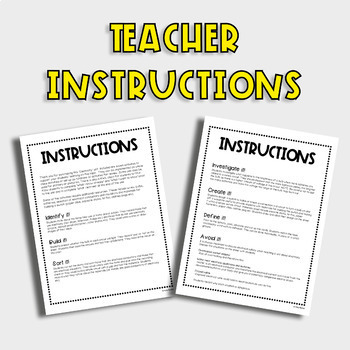 Included are detailed, clear instructions on how to set up the activities. 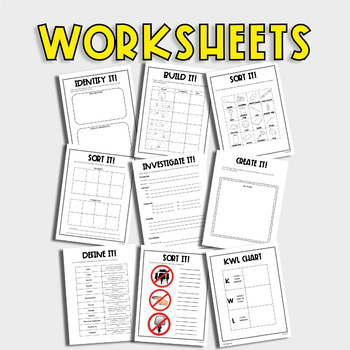 Also included is a KWL (what I know already, what I would like to know and what I learned) for student to complete prior and after the unit. Please note: Some of the activities require additional resources. These include wires, bulbs, batteries, selection of electrical conductors and insulators and materials for building a switch (paper clips, popsicle sticks, tin foil, clothes pegs etc). • Click here to receive my latest updates and become a follower!